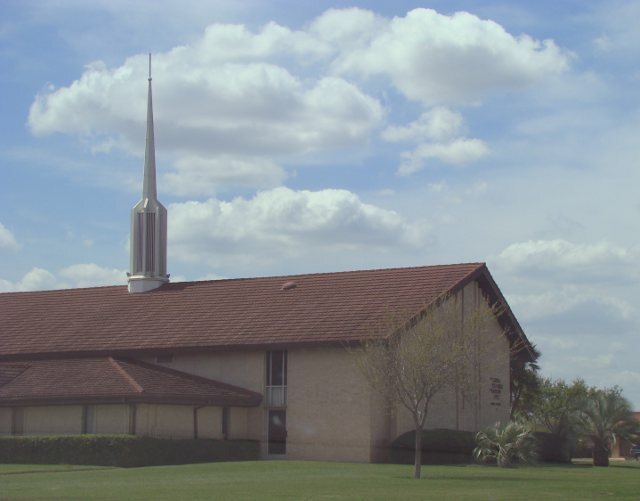 Church of Jesus Christ of Latter Day Saints in Brownsville, Texas. 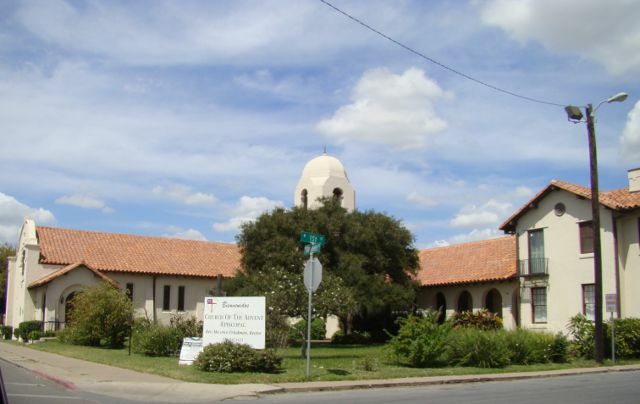 Church of the Advent in Brownsville, Texas. 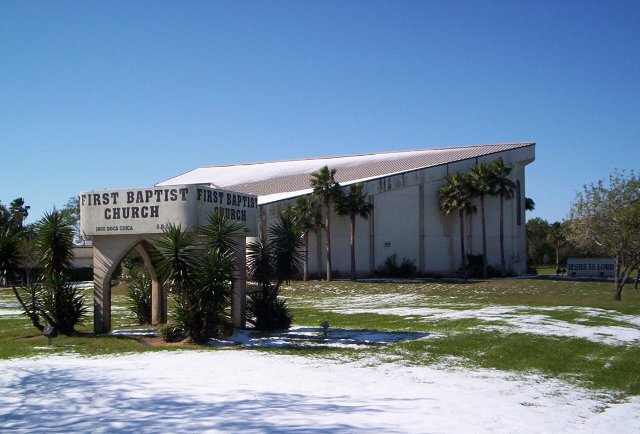 First Baptist Church in Brownsville, Texas. A Southern Baptist church, founded in 1906, this building built in 2000. 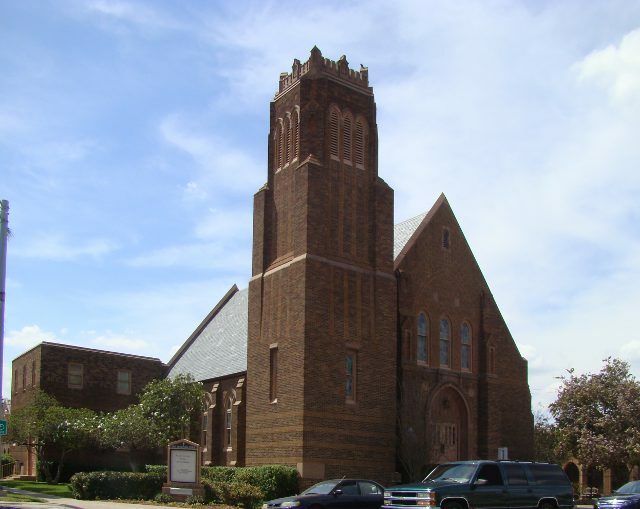 First Presbyterian Church in Brownsville, Texas. 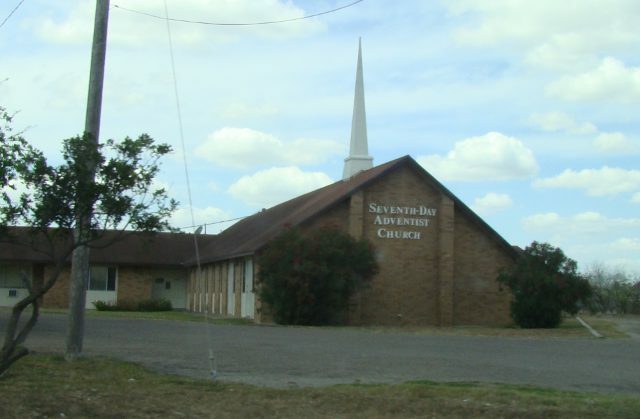 Seventh-Day Adventist Church in Brownsville, Texas. A Seventh Day Adventist church. Templo Aposento Alto in Brownsville, Texas. This building built in 1920 as First Baptist Church. 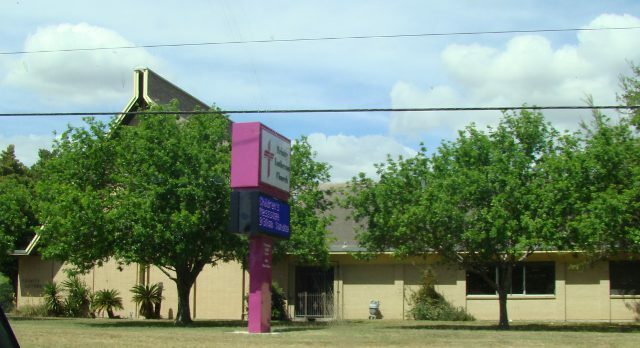 Trinity Lutheran Church in Brownsville, Texas. © 2004-2005, 2013 by Wm. Robert Johnston. Last modified 23 May 2013. Return to A Photo Album of Churches. Return to Photo Album. Return to Home.